With the Twins currently not making any headlines these days, I've decided to start posting my top 50 prospect list. It's taken me a long time to do it, and although I will admit I am not completely 100% of the way done with it, I feel I am far enough along to begin posting it. The reason I wanted to get a jump start on posting it is because of the fact that (A) there's nothing to talk about these days and (B) it will take 50 days to complete. This is not to say I will not be posting anything else, because if the Twins do make any headlines, I will give my thoughts. I'm just saying that each day, expect a new player to be listed. Like all top prospect lists, these are all done really to just give people a better understanding of how fellow fans feel about their beloved prospects. I would like to explain that this list is nowhere near perfect and I do appreciate any constructional criticism you may have. After all, it's all for fun. This list I feel is different than many others, and for that I am really proud of it. It is in fact a list, but instead of posting a brief paragraph on each player and posting a 5-10 player list per day, I am actually posting an individual profile report on each player, which is why it will take 50 days to complete (one per day). So with that, the posting will begin tomorrow. Thanks for another great year. Also, here's a new Twins blog to check out. It's called Twins #1 Fan. Hope you enjoy! Happy Holidays! I decided that with not a whole lot going on last week to hold off on writing until today, even though there's still nothing going on with the Twins. I also wanted to mention that I have switched to the old commenting system (the blogger default) in the wake of HaloScan switching to ECHO (thanks to Aaron Gleeman for the heads-up). I may sometime choose to use ECHO, but at this time it just makes more sense to use the default commenting system. • On the 14th, the Twins sent two scouts to Houston to monitor Aroldis Chapman while he put together a bullpen session for potential buyers. Chapman, a 21-year-old southpaw who defected from Cuba last summer, is considered the year's best international free agent and one of the best remaining pitchers on the open market. He began drawing attention last Spring, hitting 100 mph on the radar gun, while pitching for the Cuban national team in the World Baseball Classic. Generally, this wouldn't be worth mentioning. In years past, the Twins have remained dormant while other teams have assertively hit the international market with force. This year, the Twins have been one of the year's biggest buyers in the international market and signing Chapman may not be out of the question. Twins GM Bill Smith, like always, wouldn't give people much to dwell on when commenting on Chapman, "This is one of any number of these workouts we attend each year. It's as much information gathering as anything else. We've seen this guy a number of times. We've seen him in the WBC and in a number of tournaments." It's likely that any deal for Chapman will be more than the $15.1 million deal that Stephen Strasburg, the number one overall pick in last June's draft, received from the Washington Nationals. The Red Sox have reportedly offered Chapman a contract worth around $15.5 million. If the Twins are serious about signing Chapman, which I hope that they are, they'll have to dig deep into their pockets to pick up any loose change they might have lying around. 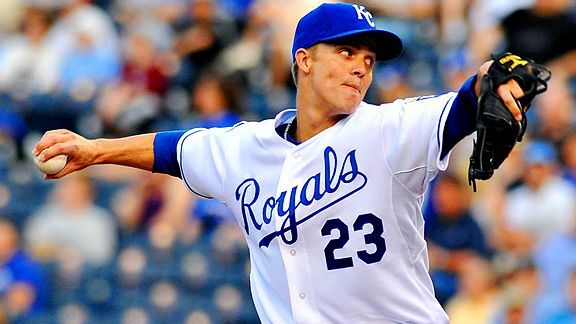 Unfortunately, I doubt they have the funds to pull off such a deal, even though I agree with Parker Hageman in thinking that it may be a very reasonable contract, if the Twins believe that all of the hype surrounding him is justified. • Mark DeRosa, who the Twins have had interest in before, may leaning toward signing with the San Francisco Giants. The deal is reportedly worth $12 million over two years, which is significantly lower than the three-year $27 million deal he was supposedly looking for heading into free agency. Despite the lowered salary, I'm still more inclined to see the Twins sign either Orlando Hudson or Felipe Lopez, who are both still available and (at least on the surface) don't seem to have a ton of interest at this time. The Twins look as though they'll stick with their status quo of waiting for the market to thin out before striking a deal. But I'm fine with that. The Twins have watched players such as Pedro Feliz, Garrett Atkins and Troy Glaus go to other teams, but that's not a bad thing. Clubs are filling their vacancies at second base or third base and players like Lopez, Hudson, Adrian Beltre and Miguel Tejada sit around with no contract in hand. It does seem that the longer the Twins wait, the cheaper their options will be. Just have to hope that they strike before it's too late. • Finally, here's a new blog to check out. It's called The Willard's Twins Blog. Hope you enjoy! It's finals time again at St. Cloud State and that's obviously prohibited me from writing or even thinking for that matter, about the Twins and baseball. I am done at the end of this week and should be back to my "normal" schedule sometime next week. If the Twins do sign someone or trade for someone, I'll surely try to post on it, but I'm doubting anything happens in the next couple of days. I'll soon be posting my 2010 Top 50 Twins Prospects list and my 2010 Top 50 MiLB Prospects list. I can't say for sure when either list will be posted, but I'm figuring sometime around Christmas. The Twins have been interested in acquiring Mark DeRosa quite a few times in recent years. He possess a lot of qualities that the Twins look for in players. He also plays a position that the Twins are trying to fill. So it really comes to no surprise that the Twins met with DeRosa's agent at this week's Winter Meetings in Indianapolis. With holes at both second and third base, the Twins are expected to find a replacement for at least one of them by Spring Training. Other than DeRosa, the Twins have been linked to Adrian Beltre, Joe Crede, Kevin Kouzmanoff, Placido Polanco, Juan Uribe and Pedro Feliz. Both Polanco and Feliz have signed with other clubs, but there is enough depth in the free agent pool of infielders to make the Twins feel comfortable enough to let the market unfold around them. For DeRosa, I understand why the Twins are interested in him. He's a good clubhouse presence, plays hard and has played multiple positions throughout his career. Last year, the Twins were drawn to Casey Blake not only because of the position he plays, but also because he's a veteran leader. The Twins field one of the youngest teams in Major League Baseball and some of the players seem to show improvements from having a veteran player to look up to. On top of finding a second or third baseman, the Twins also need to find a player that is capable of hitting in the two hole. If the season started today, JJ Hardy would likely be that guy, but the Twins would be better off finding someone with a higher on-base percentage to put between Denard Span and Joe Mauer. DeRosa, in comparison to the other players being linked to the team or that the Twins already have, is a good choice to hit second. But be advised, that's not saying a lot as the players previously mentioned all have terrible on-base skills. DeRosa's bat is capable of being great at times and does have a fair amount of power, but he's coming off a terrible half-season in St. Louis where he hit .228/.291/.405 in 68 games. That line is far lower than what he's done over the course of his career, or even in recent years, but he's going to be 35-years-old next season, so it's worth noting. DeRosa has always been known as being "durable" and has played every position - except for pitcher, catcher and center field - on the field. But it's one thing to say someone is durable and actually being durable. To me, being durable is having the ability to play several positions well. DeRosa does not have that ability. At second and third base, the positions he's spent the majority of his time playing, he hurts his team by playing poor defense. His career URZ/150 at second base is -7.5 runs and his UZR/150 at third base is -6.5 runs. He's much better in the outfield, posting a URZ/150 of +21.6 runs through 1,600 innings. Admittedly, it's hard to really make a great assessment of his defensive abilities since he's never spent an entire season at one position, but at least it's somewhat accurate. DeRosa's been labeled "durable" throughout his career, but I find that misleading. Does he play several positions? Yes. Does he play them well? No. But I guess each person has their own interpretation of what they being "durable" is. The Twins do have two positions they need to fill, but Nick Punto does figure to have a chance at grabbing one of the positions. If the Twins were to sign DeRosa, he'd most certainly be signed as the third baseman, which would leave second base to Punto. Danny Valencia is thought to be the third baseman of the future, but the Twins seem uncertain on whether he's close to being ready for the Majors. Valencia seems to have the skills to be at least a league average third baseman on both sides of the ball, but like with any prospect, it's a risk to put any stock into him before he's reached the Majors. That's why the Twins are looking at adding a third baseman right now. Regardless of whether or not he'd be blocking Valencia from reaching the Majors, the problem I'm having most with adding DeRosa is his cost. DeRosa is reportedly looking for a three-year $27 million deal. $9 million per season annually is far too much for a player like DeRosa and if the Twins come close to matching it, I'd be very disappointed. At that price, I'd much rather run the risk of having Valencia being our opening day third baseman or see Crede back. What else could the Twins possibly have up their sleeves? Bob Nightingale of USA Today reported that the Twins and Padres have discussed a trade that would send Glen Perkins to San Diego in exchange for Kevin Kouzmanoff. In the same report, Nightingale said that the Twins would need to include more to complete a deal. How much more remains to be the question. Perkins is believed to be expendable with Carl Pavano returning to the rotation, and given that the organization and Perkins haven't exactly seen eye-to-eye in recent months, it makes sense that the Twins would look into trading him. As for Kouzmanoff, the Padres are looking to trim payroll any way that they can. Kouzmanoff plays a good third base, but Chase Headley is still believed to be the third baseman of the future and is much cheaper. Kouzmanoff is heading into his first year of arbitration, where he'll could receive upwards of $3 million. Personally, I wouldn't mind the trade as long as the "more" that Nightingale mentioned wasn't in the form of a top prospect. As many know, I'm a big supporter of Danny Valencia, who would be affected most by this move. The Twins seem pretty apprehensive about handing the reigns of third base to Valencia, but at the same time, they still make it known that he's likely the future third baseman. Kouzmanoff is under team control through 2012, which is great, but not for Valencia. I personally think that Valencia could be every bit as good as Kouzmanoff if given the opportunity, but like every prospect, there's always the risk factor. But blocking Valencia isn't why I think this deal won't get done. Instead, it's something that Twins fans have had to put up with for years, and that they probably won't be willing to pay his salary. But at least this time, it's much more understandable. The Twins, at this moment, have a projected payroll of just under $90 million for 2010, according to Joe Christensen. And lets not forget that Joe Mauer still hasn't been re-signed, which could easily add an additional $8-10 million to the payroll alone. As Nick Nelson of Nick's Twins Blog points out, the Twins payroll is already up around $25 million since Opening Day 2009, which is pretty remarkable. Unless the Twins are looking to have a payroll of over $100 million, which would surprise...well... just about everyone, there's probably not much more that they'll do. The only logical salary-dump player would be Jesse Crain who may get close to $3 million through arbitration. If the Twins intend on keeping Crain on the roster, they'll likely be looking at either going with Brendan Harris at third base, as Ron Gardenhire mentioned yesterday, or signing someone like Joe Crede, who won't break the bank by any means. The Twins could trade either Joe Nathan or Michael Cuddyer to free up cap space, but at this time, that doesn't appear to be likely. Nathan is due $35 million over the next three years and would fetch a good return if he is traded. Cuddyer is due $19 million over the next two seasons but probably won't give the Twins much more than another high salary player. So as it stands, I'm not sure what else the Twins will be doing this off-season. Obviously I expect them to do something, but I really have no clue as to what direction they'll go. It appears that they're looking at adding a third baseman, but I just don't know how they'll do so with the payroll already near $90 million. Unless the Twins are willing to allow their payroll to exceed $100 million, I don't see how they can do much more. Forgive me for being a bit skeptical of the Twins trading for a player like Kouzmanoff or adding any second-tier free agents for that matter. I would love to see the Twins look into adding either Orlando Hudson or Felipe Lopez to play second base, but both of those players seem very unlikely at this point. I just don't see how them going above $100 million next season which obviously would limit any moves from here on out. But as I said, they'll do something, I just don't have the slightest clue what. Last night, I predicted that Boof Bonser wouldn't be with the Twins next season. And this afternoon, the Twins made that a likely possibility by designating him for assignment. The move is related to Carl Pavano accepting arbitration. Minnesota's 40-man roster was full, which meant that in order to add Pavano, someone had to go. Most people are irritated that the Twins would designate Bonser for assignment before guys like Bobby Keppel or Drew Butera, but this move was most likely driven by salary. 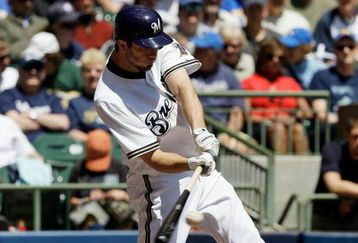 Bonser is arbitration eligable and missed all of the 2009 seaseon after undergoing shoulder surgery. Bonser could command seven-figures in arbitration, which the Twins felt that it was too big of a risk for a player in Bonser's shoes. Keppel will probably be the next player taken off if the Twins add another free agent. The Twins acquired Bonser from the Giants over six years ago. The Twins sent catcher A.J. Pierzynski to San Francisco in exchange for Joe Nathan, Francisco Liriano and Bonser. Bonser had a successful Minor League career but couldn't stay consistent in the Majors. Bonser appeared in 96 games (including 60 starts) over three seasons and posted an 18-25 record with a 5.12 ERA. Many believe that Bosner is best-suited for a job in the bullpen, but unless he accepts an assignment to Triple-A, he'll be trying to prove that on another team. It's official. Carl Pavano has accepted the Twins' offer of arbitration, meaning he will be with the Twins for at least one more season. The Twins and Pavano may try to continue working on a two-year contract, but it's more likely that Pavano will be go in with the Twins next season before testing the market again next winter. Pavano must not have been able to generate much interest of a multi-year deal from other teams, which is the most likely reasoning for accepting the offer. The Twins already had a plethora of arms that will be competing for the last spot in the rotation (and the bullpen), but this is great news. Right now, Scott Baker, Nick Blackburn and Pavano are locks for the rotation. Kevin Slowey will be a lock if he returns healthy, which nothing up to this point has made me think otherwise. That means that the Twins could have up to six in-house players competing for the last spot in the rotation. Glen Perkins and Brian Duensing are both vying for the last spot in the rotation, but I wouldn't be surprised to see Perkins traded at some point during the off-season. The bullpen is already packed, and Perkins might not be in Minnesota's long-term plans, which could give the Twins an incentive to trade him. That would leave Duensing as the odds-on-favorite to claim the fifth spot in the rotation. I'd be fine with that, but I'd still like to see the Twins sign a low risk, high reward starter. I also expect to see Boof Bonser non-tendered, which should help give a better assessment as to where the rotation/bullpen stand heading into next season. At this time, the Twins can at least move their attention strictly to improving second base or third base (of course, besides re-signing Joe Mauer). There are plenty of options available and the Twins should be able to find the deal they want. I'd personally like to see the Twins sign either Felipe Lopez or Orlando Hudson, leaving third base to Nick Punto. In that scenario, Punto would be holding down third base until the Twins deem Danny Valencia ready. And it'd also fulfill my dream (ok, hope) of also signing Joe Crede (or perhaps Adrian Beltre or Pedro Feliz) to a one-year contract at some point (probably a month or so) before Spring Training, thus relegating Punto to the bench. 6:00 PM: Neal is now reporting that Pavano will in fact accept arbitration from the Twins. 1:00 PM: According to Ken Rosenthal of FoxSports.com, it appears more and more likely that Twins starter Carl Pavano will accept arbitration, keeping him in Minnesota for at least one more season (thoughts below). 11:00 AM: La Velle E. Neal III of the Minneapolis Star-Tribune reported that Twins General Manager Bill Smith and Pavano's agent, Tom O'Connell, last night and have until 11 PM tonight to decide whether or not to accept the Twins' offer of arbitration. Pavano's camp wants at least a two-year deal and at this moment, it doesn't seem like there's any team willing to give that to him. As I've said in the past, Pavano alone likely won't give the Twins a great rotation, but he'll definitely add some stability. At this point, only Scott Baker and Nick Blackburn are set as "locks" for next year's rotation. Both Kevin Slowey and Brian Duensing will also have good opportunities in Spring Training to claim a spot, but hopefully the Twins can find at least one or two additional pickups to fill out the starting five. Slowey will be returning from wrist surgery, but should be ready to go, likely making him another "lock." If Pavano is one of them, I'd still like to see the team go after guys like Erik Bedard, Ben Sheets or Rich Harden. The three of them (among others) are looking to prove themselves and are likely be receiving one or two year contracts, which is just what the Twins need. Stay tuned. We'll find out sometime today/tonight what Pavano's decision is. One of the best times during the off-season is the Winter Meetings. Every year, each team sends representatives (owners, front office members, coaches, etc.). During the week-long meetings, there is generally more rumors and speculation than at any other point during the season. So obviously, this is my favorite point during the off-season. But unfortunately, my finals are right around the corner and it just happens to be "hell week" for me due to presentations, projects and papers all needing to be done. But rest assure, if the Twins do make noise with a move, I will write about it. I will also try to discuss some of the rumors that come up. So make sure to check back throughout the week. Also feel free to follow me on Twitter, where I'll likely be discussing rumors as well. But for more Twins news, check out the links on the side of the page. The deadline to offer potential free agents arbitration was last night and as expected, the Twins offered arbitration to Carl Pavano. Pavano gained Type-B status which, if he signs with another team, means that he'll fetch the Twins a second round draft pick in next June's draft. There has been interest from both Pavano's camp and the Twins' front office to keep Pavano in Minnesota. I've mentioned here that while he's not my first choice, I certainly wouldn't mind seeing him come back. Twins shortstop Orlando Cabrera cannot be offered arbitration due to it being written in his contract. Cabrera qualified as a Type-A free agent, but since the Twins cannot offer him arbitration, any team looking to sign him won't have to surrender their first round pick to the Twins. There have been rumblings about bringing Cabrera back as a second baseman, but that's about all there's been. Several players the Twins may show interest in this off-season weren't offered arbitration. Second basemen Orlando Hudson and Placido Polanco are two players the Twins will likely discuss bringing to Minnesota and neither were offered arbitration by their former teams. Both players would fit into Minnesota's lineup well. All of these players could be discussed by the Twins and now that none will cost a draft pick, their chances of signing greatly increase. 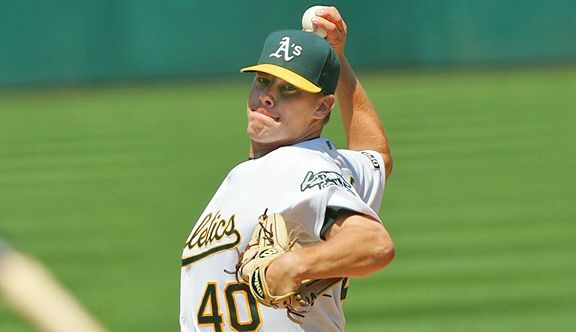 There are reports that the Red Sox are "serious" about signing Rich Harden which could very well take the Twins out of the running to sign him. But, as with every free agent, anything can happen. And the reports of Joe Mauer's supposed "deadline" has been refuted by, whoelse?, Joe Mauer himself. It's funny how quickly some things can be squashed. Seth Stohs reported yesterday that Twins prospect Danny Valencia is heading to Puerto Rico to play Winter Ball. The Twins have expressed their desire for Valencia to play over the Winter in order to give himself a legitimate shot at making the Opening Day roster. While that could be true, the liklihood that Valencia will make the Opening Day roster even after playing Winter Ball is small. That's not because he's not ready, it's because the Twins will most likely find a second baseman or third baseman (making Nick Punto the other starter) by that time. If it were up to me, I'd want Valencia to rest over the Winter to prepare as well as he can for the upcoming season. • Here's a great article about Brendan Harris visiting a middle school. It's hard not to respect a guy like Harris after reading that. He definitely went up a few notches in my book. • A couple guys that are reportedly being linked to the Twins are Mark DeRosa and Jarrod Washburn. • Ron Gardenhire came in second to Angels manager Mike Scioscia in voting for A.L. Manager of the Year. Brian Pietrzak believes Gardenhirew was snubbed. I personally thought Rangers manager Ron Washington was snubbed or at the very least deserved more votes than he got. But I'm not surprised being that the Rangers failed to make the playoffs. • For some great pictures of Target Field, check out both the walking tour from NPR and Phil Mackey's pictures. • The Twins have until Friday to put players on their 40-man rosters which would protect them from potentially being taken in next months the Rule V Draft. The Twins have eight minor league free agents. Here's a look at who the Twins may or may not protect. Also, here's Seth Stohs thoughts on the manner. • On Stohs' latest podcast, Danny Valencia and Steve Singleton were guests and it was a great listen. Both are inteligent players with plenty of potential. It's definitely worth a listen if you're interested in Twins prospects. • Chris Jaffe of the Hardball Times and author of Evaulation Baseball's Managers: A History and Analysis of Performance in the Major Leagues, 1876-2008 posted an excerpt of his book regarding former Twins manager, Billy Martin. It's a great read and that every Twins fan should check out. • As mentioned this past weekend, Justin Huber has indeed signed a contract to play in Japan next season. But Twins fans found out later that he won't be the only Rochester Red Wing heading accross the Pacific. Juan Morillo has also signed a contract with a Japanese team and will be pitching overseas next season. Tough break for the Twins and Rochester Red Wings. Aaron Gleeman answers some questions from his Twitter Mailbag. John Bonnes writes about how finding pitching is a crapshoot. Nick Nelson offers his views on Joe Crede. Parker Hageman writes about why we should care about pitching independent of fielding. Andrew Kneeland writes about future Twins outfielder Rene Tosoni. Josh Taylor writes about some of the recent transactions. Neckrolls is currently writing his off-season blueprint. Here's part 1 and part 2. NPB Tracker just posted a report from the The Chugoku Shimbun that Justin Huber is close to signing a contract with the Hiroshima Carp. This week, Huber was taken off of the 40-man roster and was sent outright to Triple-A. The Carp then put in a request for Huber which, according to the report, was accepted immediately. The Twins letting Huber go doesn't make a lot of sense to me. For starters, the Rochester Red Wings were a pretty bad team last season and Huber was a fan-favorite who lead the club in home runs, RBI and batting average. And on top of winning the Red Wings' Triple Crown, Huber was named an I.L. All-Star and competed in the home run derby in which he provided the night's longest home run (438 feet). That doesn't mean he should be untouchable, but ripping a player like Huber away from the Red Wings will definitely hurt the team. He also provides depth at both the corner outfield and first base, two positions the Twins need depth. At first thought, you'd probably disagree. But there's going to be some concern over Justin Morneau's injury and whether or not Delmon Young finally turns a leaf in left field, Huber would have been an adequate replacement. Unfortunately, the Twins didn't feel Huber was valuable enough to keep around and will probably come to an agreement of a modest dollar amount. Hopefully the Twins find a replacement that can fill Huber's shoes down in Rochester. I know they are going to be full in the outfield and could rely heavily on David Winfree at first base (if he's re-signed), but I still think that keeping a guy like that around when there's uncertainty regarding the depth is a positive. I've always nagged on the Twins for blocking prospects with older non-prospect players in the minor leagues, but I always took this situation as an exception. The Red Wings will likely be very young and inexperienced again next season, which could keep Rochester out of contention in the I.L. North for the second consecutive season. 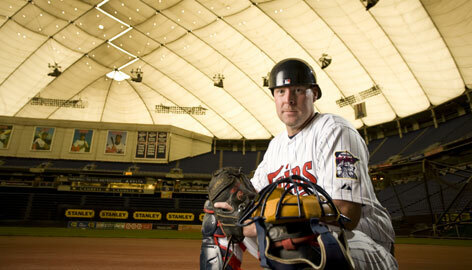 Since Todd Walker and Chuck Knoblauch played at the Metrodome, the Twins haven't had steady play from any of their second basemen. In fact, the team has put in little effort (at least, compared to other positions) to upgrade it at all. Surely you can mention Brett Boone or Luis Castillo, but both were well past their prime before putting on a Twins uniform. And when options like Alexi Casilla and Luis Rivas have failed, the Twins haven't been able to find a suitable replacement. And now after a decade of futility at (admittedly) a position that isn't viewed as a highly productive position, the Twins could be in a great position to finally find a productive player to put at second base. Last week, I mentioned who I would most like to see at second base. Today, I'll give other options that could entise the Twins. And thankfully, there are quite a few. Orlando Cabrera - The Twins traded for JJ Hardy last week which made everyone assume that the Twins would move on from Cabrera. But since the trade, there have been some rumblings over Ron Gardenhire's comments of how he'd would like to keep Cabrera with the team. As a second baseman. I understand why Gardenhire would like to keep a person like Cabrera around, but from a player standpoint, I see little reasoning to it. Cabrera hasn't played more than a game at second base sine 1998 and he's a liability at the top of the lineup. If the Twins had an ideal number-two hitter to implant between Denard Span and Joe Mauer, I may be a little more open to it. But I would like to see someone that is better at getting on-base in that spot. Cabrera played well for the Twins down the stretch, but I'm sure that he's looking for a multi-year deal and that's not something I'd like to see the Twins offer a 35-year-old with a severely declined skill set. Orlando Hudson - When taking in both offensive and defensive production, Hudson's been one of the most underrated second basemen in all of baseball this decade. Despite being on the wrong-side of 30, he still has proven to have a productive bat from both sides of the plate. Last season, Hudson hit .283/.357/.417 which was pretty similar to the triple-slash line that he put up as a 26-years-old in Toronto and nearly identical to his career hitting line. The problem with Hudson these days isn't his bat, it's his defense. Yesterday, reports came out that Hudson won his fourth Gold Glove Award of his career. Although we won't know until later today if that's true, we've come to know that the award is based a lot of reputation than actual defensive standards. According to his UZR, Hudson has been considered below average defensively in both the last two seasons. But his defense was better in 2009 than it was in 2008 which could make some believe that he's on the rebound. Hudson's injury risks and declining defense may make some want to keep away from signing him. Much like last off-season, Hudson heads into free agency with the lackluster 'Type-A' status hanging over his head, which immediately made me say, "no way, Jose!" But as John Bonnes points out, some teams may be against offering some of their players arbitration over fear of them accepting it. While I don't think the Dodgers would be distraught over Hudson accepting their arbitration proposal, they may be better advised to let him walk instead of offering him a large one-year offer. As Bonnes mentioned, Hudson was benched toward the end of last season after falling apart in September. If the Dodgers don't offer arbitration to Hudson, I expect the Twins to make a big play for him. He's an ideal two-hole hitter and wouldn't cost a first round pick. Even with his declining defense, the Twins would be making a mistake if they didn't look into him. Placido Polanco - Much like the same case between the Dodgers and Hudson, the Tigers have a tough decision to make whether or not to offer Polanco arbitration. Polanco also qualified as a Type-A free agent and the 34-year-old will look at the trouble that fellow 30+ year-old infielders have had trying to ink a contract and could choose to stay in MoTown. And the Tigers aren't as prepared as the Dodgers in the event that Polanco does accept arbitration. The reason is that Scott Sizemore is slatted to start at second for the Tigers in 2010 and it probably isn't worth the risk to offer Polanco arbitration. Despite his age, Polanco is still very valuable defensively and was awarded the second Gold Glove of his career yesterday. According to UZR, Polanco saved 11.4 runs with his glove this season, the highest in baseball. Polanco also is a pest at the plate and could be an interesting bat to have between Span and Mauer. Although he doesn't walk a ton, he's hard to strike out and makes a lot of contact. Polanco, like Hudson, should also be on the Twins' radar if he's not offered arbitration. Brandon Phillips - Unlike the other options, Philips would need to be acquired through a trade instead of free agency. The Reds are believed to be cutting costs this off-season which makes players such as Phillips vulnerable to be traded. He's set to make $29.75 million over the next three years but doesn't turn 30 until the middle of the 2011 season. Phillips isn't an ideal two-hole hitter, but he's a good right-handed bat with pop. 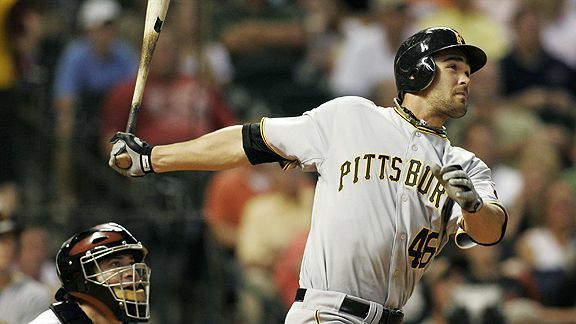 He also plays very strong defense and was recognized with a Gold Glove in 2008. Unfortunately, the Twins already have several eight-figure players on the team already and should they add Phillips, they'd be adding two more for 2011 with Michael Cuddyer's option being picked up. If the Twins planned on shedding some salary between now and then, it might make some sense, but I don't see the Twins adding a player like Phillips right now. So there are several other players that have been discussed throughout the Twins Blogosphere. I still think that Felipe Lopez would be a good fit, but there are certainly other intriguing options that could make sense for the Twins. Not even a year ago, the Twins signed Joe Crede to be a one-year stopgap at third base while the organization waits for Danny Valencia to make his way up. The deal was a great opportunity for Crede to prove to other ball clubs that he was fully healed from back surgery and and worthy of a long-term contract. Unfortunately, things didn't quite work out the way either side wanted. Valencia isn't quite ready and Crede hurt himself, eliminating any chances he had of joining another team with a multi-year deal. And although one would expect that the Twins and Crede would part ways, the contrary seems to be likely. The Twins and Crede could both use one another for yet another season. Many believe that Valencia could probably handle the starting job right out of Spring Training, but the Twins' ultra-conservative approach with position prospects makes that a pipe dream at this point-in-time. That leaves an possibility for the Twins and Crede could be able to find a way to keep the 31-year-old in Minnesota for another year. Any contract would likely be a one-year deal with similar incentives from his last contract. His last deal had incentives that could bring his $2.5 million salary close to $7 million based on performance and playing time. Crede seemingly enjoyed his time with the Twins and he was a good clubhouse fit. With a team that is likely to lose veterans such as Mike Redmond and Orlando Cabrera (among others), the Twins need to keep some of the clubhouse charisma that it has. When Crede was able to play, he proved to be a very valuable defender while putting up a putrid .225/.289/.414 hitting line. But on a brighter note, he did have 16 doubles, 15 home runs and 48 RBI in 333 at-bats. Crede underwent back surgery at the end of September and has supposedly felt very good at this point in the recovery. But when he's had three procedures on his back since 2007, it's a huge risk in any way, shape or form when dealing with a guy like him. Thankfully, he has expressed interest of staying in Minnesota and would probably accept a similar deal that brought him here in the first place. Personally, I've always liked Crede and enjoyed him with the Twins (when he could play), but I think that the Twins would be better off going after a high on-base guy at either second base or third base and letting Nick Punto play the last infield position. With JJ Hardy at shortstop, the Twins would have a very good defensive infield if they do decide to re-sign Crede. And really, I wouldn't be outraged if they did decide to bring him back. But it does scare me to think of another year of wasting the second spot in the lineup ahead of guys like Joe Mauer and Justin Morneau. Now that everyone is starting to calm down over the initial reports of dealing fan-favorite Carlos Gomez for JJ Hardy, it's time to evaluate the trade from several angles. This trade from a Twins perspective is good. While Gomez is one of the best defensive outfielders in the league, he yielded playing time in center field to Denard Span and when Delmon Young started hitting late in the season, Gomez saw seldom playing time. The Twins clearly didn't value Gomez's defense enough to make up for his putrid offense. Which obviously made him expendable. The Twins being able to pry Hardy from the Brewers without having to give up more than Gomez looks to be an initial 'win' for Minnesota. Hardy was once viewed as 'untouchable' with the likes of Ryan Braun and Prince Fielder, but poor play and the emergence of Alcides Escobar ultimately forced the Brewers hand. The Twins having gaping holes everywhere except for first base in the infield. Hardy fufills a hole at shortstop while Nick Punto likely fills another hole at either second or third base. To add: Peter brought up a good point in the comment sections. Baseball has a lot to do with marketing and while Gomez was a fan-favorite in the Twin Cities, Hardy has been known to be a fan-favorite in Wisconsin and I'm sure (from a marketing perspective) the Twins aren't losing a ton while potentially gaining a lot of marketability in Hardy. The Brewers, as mentioned, felt the need to trade Hardy now while he still has some value left. But had they traded him prior to the July trade deadline, the Brewers probably would have gotten quite a bit more in return. With Mat Gamel making his way to the Majors and Casey McGehee emerging as an option the Brewers thoughts of moving Hardy to third base didn't seem like a viable option anymore. With no room left for Hardy in the infield, the Brewers knew heading into the off-season that they'd have to move one of them to fill in another position of need. Pitching seemed to be the likely position they'd target in a trade. Mike Cameron is a free agent and seemed likely to test the free agent waters, so the Brewers decided to not waste any time in findinig his replacement. They go from an older good defensive outfielder to a younger, better defensive outfielder. Unfortunately they'll miss Cameron's bat, but if Gomez can reach his potential, they'll be plenty pleased with what Gomez can bring to the table. A fine move on the Brewers behalf. That lineup (to many) would be great, but it unfortunately makes me cringe. Why? Because the thought of Hardy batting second makes me want to puke. He has a career .323 on-base percentage and last season, he got on base 30.2% of the time, which is not good enough for the two-hole. The Twins are notorious for wasting the number two spot in the lineup and when you have guys at number one and three in the lineup that get on-base at a high clip, the two-hole shouldn't be any different. In order to optimize the lineup we have, I think it's pretty clear that the Twins need to add a player that is a better fit in the two-hole than what Hardy is. In turn, the Twins will be able to stretch their lineup out, allowing Hardy to slide down to number seven in the lineup. Even after this latest trade, the Twins still have several trading chips that could interest other teams. They also have a few options they can pursue via free agency. One player that would fit the role perfectly would be Chone Figgins, but acquiring him is probably not realistic. To me, the best fit would be Felipe Lopez. After struggling to crack the lineup as a regular in Toronto, the Blue Jays traded Lopez to Cincinnati prior to the 2003 season. The Reds got similar production from Lopez in both 2003 and 2004 as he backed-up Barry Larkin. Larkin retired prior to the 2005 season and the Reds gave Lopez an opportunity to start. He finished the season hitting .291/.352/.486 with 62 extra-base hits including 23 home runs. 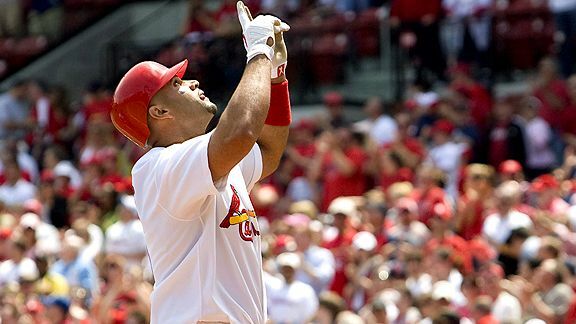 But Lopez was traded to the Washington Nationals in the middle of the 2006 season and he fell off the face of the earth during his two years spent in the nation's capital and the Nationals decided to trade him during the 2008 season to the St. Louis Cardinals. Something started clicking for Lopez in St. Louis and he carried it with him as a free agent in 2009 to the Arizona Diamondbacks. The Diamondbacks were out of contention at the trade deadline and dealt him to the Milwaukee Brewers where he continued to rip the cover off of the ball. Lopez isn't an All-Star by any means, but he's a solid defensive second baseman and can fill in at third base if needed. He also has a .392 OBP since the middle of the 2008 season which can't be ignored. Lopez signed a one-year $3.5 million deal with the Diamondbacks last off-season and is likely to receive a substantial pay raise this time around. Lopez is still on the good side of 30, which means he'll likely be getting a multi-year contract. The Twins don't look to have anyone close to the Majors who would be threatening to take over second base anytime soon so if they wanted to explore a two or three-year deal with Lopez, it'd be a good decision. Signing Lopez to a two-years and $12 million with a third year option of $8 million would be a great move for the Twins. And the best part? The Twins can do this without having to break the bank for someone like Figgins. In fact, according to the TwinsCentric GM Handbook, this would give the Twins a payroll around $87 million. Even if the Twins added $7-8 million onto Mauer's contract extension (if they do sign him to an extension), the Twins would still be within what their self-imposed salary cap would be, which is believed to be between $90-100. And the Twins could still have a few million to work with in signing a starting pitcher. A good risk for the Twins would be to look into Ben Sheets as a free agent. He likely could be signed for under $2 million (without incentives) and could be a huge boost to this rotation. The point I'm trying to get across is that the Twins still have a lot of options on how they want to finish off this roster and while re-signing Mauer remains the top priority, it's great to see the Twins not waste any time acquiring new players. The Twins and Brewers have reportedly agreed to a trade that would send Carlos Gomez to Milwaukee in exchange for JJ Hardy. This move isnt' a surprise as both players have been mentioned in rumors over the course of this last season. The surprise is that the Twins pulled the trigger on it so quickly. Although I still think that this doesn't necessarily means the end for Orlando Cabrera in Minnesota (as Hardy can play third base), this could make the next few weeks interesting as we head into free agency. I personally would have loved to keep Gomez on the team as I still think that at this time, he's a much more valuable commodity than Delmon Young, but I understand the Twins' reasoning for getting rid of him. Unfortunately, the Twins over-value Denard Span's offense in center field and unless Young gains some speed over the off-season, I don't know how I feel about the Twins' outfield (defensively) heading into next season. Regardless, this move is good for both teams and seeing the Twins strike early is a great thing to see. And I'm sure the ladies will love having both Hardy and Joe Mauer on the same team... oh brother. After spending seven years with the Florida Marlins as a backup catcher, Mike Redmond came north to Minnesota to serve as Joe Mauer's primary backup. Redmond was already considered one of the best backups in all of baseball prior to coming to Minnesota, but he solidified that title with the Twins. 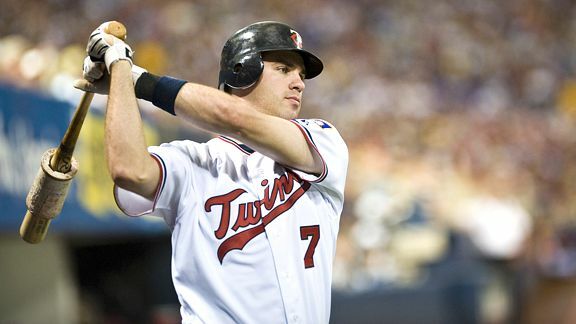 Redmond signed a two-year, $1.8 million deal with the Twins after the 2004 season. He later signed a three-year contract extension during the middle of the 2006 season. Over the last five years with Minnesota, Redmond has hit .297/.339/.359 while giving the team solid defense. But as Redmond got older, both his offense and defense declined drastically and he finished the last year of his contract hitting .237/.299/.289 while throwing out only 13% of runners, which were all career lows. One would expect that all of these factors would be a clear-enough reason for Redmond to hang up the cleats, but think again. Redmond indicated near the end of the season that he's not yet ready to retire and plans on playing next season whether it be in Minnesota or not. Down the stretch, Redmond yielded playing time to Jose Morales, who put up substantially better numbers. The 26-year-old Morales hit .311/.381/.361 with a 103 OPS+ in 54 games with the Twins this season. Not only is Morales better offensively, but he's becoming a better defender, which has held him back in years past. As much of a fan-favorite Redmond has become, it'd make no sense to bring him back next season. While the Twins obviously place a lot of emphasis in veteran leadership, the Twins know that Redmond is a liability and cannot be counted on everyday. Not only that, but he stands to make twice as much as Morales while giving a fraction of the production. As great as it'll someday be to see Redmond waving runners around third base at Target Field, the Twins need to let him finish off his career somewhere else and move on with Morales. To carry-on with the discussions on who the Twins should bring back, Carl Pavano is the next to be discussed. After failing to acquire a starting pitcher at the July trade deadline, most fans grew huffy and puffy at Bill Smith who despite trading for Orlando Cabrera hadn't really done a whole lot to improve the team. But as Twins fans found out this season, August may be more active than July. The Twins hit the waiver wire hard in August and acquired three pitchers, including Pavano. After establishing himself as a solid middle-of-the-rotation starter with the Florida Marlins, the New York Yankees handed Pavano nearly $40 million over four years. But the injury bug hit Pavano and the right-hander threw only 145 2/3 innings for the Yankees over four years. The Yankees declined an $13 million option on Pavano heading into the 2009 season and he later latched on with the Cleveland Indians who gave him a one-year deal worth $1.5 million. He was later placed on waivers in August where the Twins claimed him. To complete the trade, the Twins had to surrender Yohan Pino, which seemed a little steep, but eventually Twins fans supported the deal and most became big Pavano supporters. Not only did Pavano pitch well against the Detroit Tigers, he also made a great start in the playoffs against the Yankees. Pavano finally started to prove to people that he can stay healthy for an entire season and is an option to sign for more than one year. The Twins loved the influence he had on the young pitching staff and also loved the results they got from Pavano. With Scott Baker and Nick Blackburn the only pitchers that have really established themselves as mainstays in the rotation, the Twins do have some flexibility with the rest of their rotation. The majority believe that the Twins will have a rotation compiled of both Baker and Blackburn with Kevin Slowey and Brian Duensing filling out the rest of the staff. That leaves several internal options that could take that last spot including Glen Perkins, Jeff Manship and Francisco Liriano. But the general consensus is that the Twins will look outside the rotation to fill that final spot. That's obviously where Pavano comes into play. Should the Twins re-sign him and go forward with the same rotation that essentially got them into the playoffs? Personally, much like in the case with Cabrera, I personally would rather see the Twins attempt to improve the rotation before settling for Pavano. While Pavano is a nice back-end starter, I fear that the Twins will move forward without seriously improving the position that held them back for much of last season. According to estimates from our friends at TwinsCentric.com, Pavano may very well get at least $6 million a season, which to me isn't the problem. The problem comes when I think of the Twins being in the same position that they were in much of last season; great offense with poor starting pitching. And when I think of that, I see Pavano being at the forefront of the problem. Despite putting up decent numbers this season, I am not in any way very optimistic about him being the kind of pitcher the Twins need, which is a front-end (#2-type of) starter. While I'm sure Pavano has finally turned a leaf and is truly ready to be a stable starter in a rotation, I think he's still a #4 starter at this point and I think the Twins would be better suited going after a player with more upside. I sadly don't see John Lackey as a realistic option for the Twins, but guys like Erik Bedard, Rich Harden or Ben Sheets could fit the bill. All of those guys mentioned carry a big warning sign around their neck, but all fit the bill. All three would likely accept one or two year deals as well, which is probably what the Twins are ideally looking for. And if the Twins are serious about improving the team, maybe a guy like Lackey would be on their radar. The TwinsCentric crew estimates a four-year $56 million being what it takes to nab Lackey. But given the weakness of this year's free agent class, I'm sure several teams will be biding for Lackey's services and we could very well see him get a six year, $80 million deal from someone. But of course, it's anyone's guess at this point. If the free agent market fails, the Twins could also target a player through a trade. Javier Vazquez's name could come up this off-season while the Braves try to add Major League hitters. Unfortunately, I'm not sure the Twins have the pieces it'd take to acquire Vazquez, at least not without going overboard. Guys like Derek Lowe and Bronson Arroyo may be more realistic. But I'm not really that giddy about either of those guys either. But to me, the best way the Twins could improve their rotation will be through free agency. Although I'd like to see the Twins move away from Pavano, I think the Twins will make a serious effort to re-sign him and with that said, I'll be surprised to see him with a different club next season.